A concise, easy-to read review of the NCBTMB Standard V: Professional Roles and Boundaries. You can download, complete this course and print your certificate, if you choose. Each section of this course reviews a section of Standard V and helps you consider how it relates to your practice. The course material arrived in a timely manner and was exceptional in meeting my needs for re-licensee. The material was easy to read, well written, and affordable. Very informative and well worded. Perfectly met my hopes for this course. Great info. Great real life examples/problem solving strategies. I highly recommend this course and will continue to use this website for my future CEU requirements. I thought it as very informational. The information was straight forward and to the point for an ethics course. I was able to get thru it quickly. Thank you. Excellent materials. The test was completely relavent to the reading materials, unlike other tests I've taken elsewhere. Thank you! I felt it was a good course to take. Very informative. It's always good to take a refresher course on ethics. Clear and concise, precisely what I was looking for. Nice set up. Course material and test were clear and not confusing. Siimple and to the point. Excellent course really met my expectations. I always dread the ethic courses. I find them boring and irritating. I was raised with ethics and think of it as a logical way to live. However, this class was okay. Well written and kept me interested. I will highly recommend it and will check this site out for future CEUs. Thank you! Well-written, to the point and spoke plainly about difficult subjects. Good job! Very good examples given; also gave me some great answers for questions regarding client dilemmas. It was helpful! Thank you! I enjoyed the online course to fulfill my credits. Nice, well organized course. I've been practicing for over 20 years so none of this information was new to me, but it was a great refresher. The study materials were well written. Thanks! Standards of Conduct reviews are essential as many of the situations described in this course arise regularly. 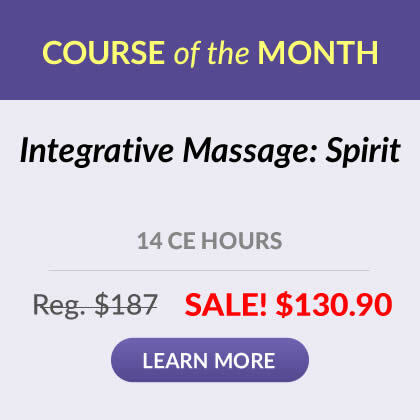 This course is relevant to maintaining a strict code of conduct and maintaining the integrity of the field of Massage Therapy. I have taken an ethics course before and was pleasantly surprised by the materials here. I actually found it a lot more helpful and more engaging than my previous class. It really helps to refresh what was taught in massage school. Legal, Precise and to the point, as Ethics should be. Good Basic Course! Enjoyed reviewing the information as it brought attention to some issues that I had come across in my practice. Great class! It was a great refresher course. Nicely put together, concise and interesting. Information very clear concise and easy to understand. Of all the years I have had ethics as a requirement for my license(s) This was by far the best written, etc. Nothing was new for me but it kept my attention. Good course! This was a very good cours and also easy to obtain online. Setting up the course, completing the course and taking the test were convenient and I appreciated being able to do it at the hour of my choice. I do feel your worbook, instructions and test are well put together....direct, clear, to the point....and I appreciate that. Very easy to read and understand. I especially like the examples given. I enjoyed the course I will take more !!! Informative and easy to use! Exellent, very informative and to the point. 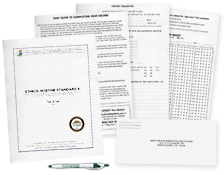 A great review of ethical standards! It is good to review ethics in this work. Great!! Simple, straight forward and easy to understand!! I found the course to be interesting and very useful. This course was exactly what I expected it to be. A good ethics refresher. Good course material, easy to use system. I found this course to be professional and helpful. Thank you for providing this concise, easy to follow, course to complete my Ethics requirement for license renewal! I found this course to be clear, concise and easy to understand. I am able to take what I have gained from this course and immediately apply it to my own practice. The course material was clear, concise, and well written. Glad it included practical examples. Exceeded my expectations for an on-line course. I will likely take future courses. This course was very educational! I discovered many new insights since last taking this course. It is much more informative, well written and thought provoking. I highly recommend this Integrative Healthcare Online Course for all L.M.T. 's who are in need of Continuing Ed Units. The material was extremely easy to understand. Thank you for making it simple. Quick to the point, informative, well thought out and effective. A pleasure to revisit and continuing being our commitment of integrity and extraordinary customer service expanding this astonishing modality! I appreciate how easy-to-use the website is. I enjoy the effective courses provided and how well presented and communicated the content is. Thanks! This course reminded me of my duty as a massage therapist and really brought clarity to myself as a professional. I have been really struggling lately with a dual-relationship and the development of feelings stronger than I should have and a higher need to take care of this one particular client. This course reminded me of the importance of remaining detached in a compassionate way and helped me to reground myself. I appreciate the simplicity and layout of this course. Very useful information. Great reference guide for future use. I am grateful for the opportunity and availability of being able to complete this as an in home course. Thank you! This course was well-written and easily understood. The content was relevant. Nicely laid out and good information. Thank you! Easy to read & comprehend. Thank you. The course was informative, thorough and a great refresher! The materials were well organized, clearly defined with salient examples. A very good reminder of the importance of professional conduct and potential pitfalls. The course was very good. 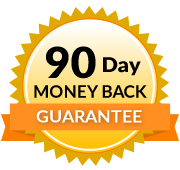 I have been a massage therapist for 18 years so lots of ethics courses and lots of knowledge is why 8/10 vs 10/10. I have strong ethics so this is good refresher. I loved the clarity of terms. Thank you so much for offering ethic courses on line so I may be able to get them done on my own time. Well structured and easily learned. The course material was clear and easy to understand. This made the test very uncomplicated. Fabulous!! The material was clear, well-presented, and easy to understand. Will definitely continue taking your courses! Thank you! By reviewing this material and taking the test this year, I have learned again! Thank you for making this so smooth and easy! I look forward to further courses with your institute! Excellent course presented in a clear, understandable and applicable manner. The Institute for Integrative Healthcare Studies is my favorite place to pick up continuing education courses. Thank you! Failure to adequately explain related risks to a procedure or the extent of these risks may result in a liability for the healthcare professional. The risks of a proposed treatment may be explained to a patient in two different ways: from the professional's perspective or from the patient's perspective. In most states, what a health professional tells a client is judged by what other health professionals tell their clients in similar situations. In other words, the actions of the health professional are judged against the actions of his/her peers. However, many states are now leaning toward the patient/client's perspective, which means any side effects that are pertinent to a particular client should be told to this client regardless if other health professionals tell their clients of this particular risk. This is to ensure that this particular client is fully informed of risks and benefits that may affect him/her so s/he can make an informed decision about his/her particular healthcare." Which of the following is a disclosure requirement for informed consent?